If you are ready for Summer, I am right there with you! Sunshine and warm weather are 2 things that I am looking forward to. We just got back from a trip to the beach and I could have stayed for weeks down there. 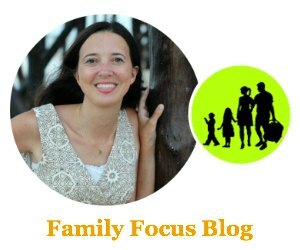 The ocean air, the soft sound of the waves, the sand…I love it all and so does our family! With warm weather comes new scents, right? Flowers are starting to bloom and sweet smells linger through the air. Well, I have a fragrant perfume blend for you to try with your essential oils! 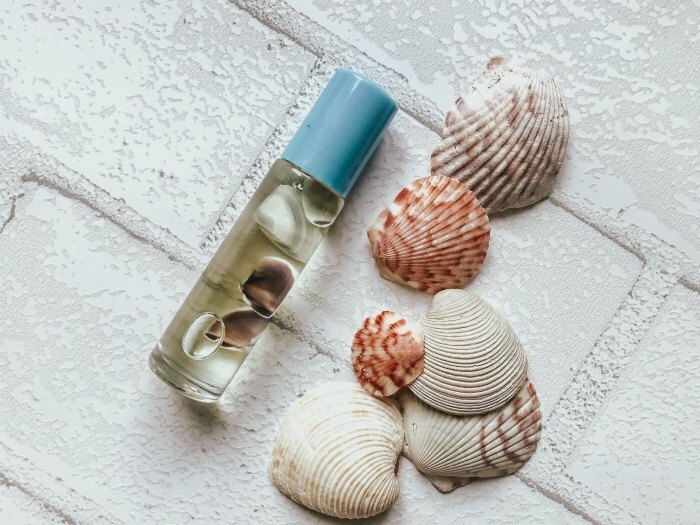 My beach trip inspired me so I came home and created a beach breeze scent that I am really loving! I grabbed the best smelling essential oils that I thought might smell like the ocean and summer combined. 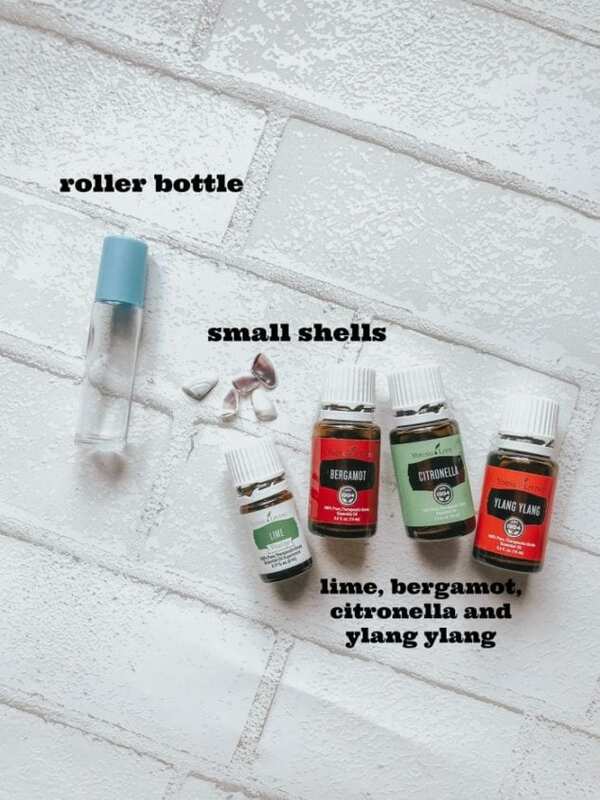 Here is the essential oil roller bottle recipe for my Beachy Breeze Roller Blend!! Want to feel like you are at the beach? Try this lovely, homemade beach breeze scent to take you there! Gather up your supplies and head to the kitchen counter. Remove the roller ball top and add 4-5 of your washed and dried small seashells to the roller bottle. I gathered some up while we were at the beach just for this roller! It really makes the roller bottle look pretty. After you add the shells, it’s time for your essential oils. I used a combination of the best smelling essential oils to create this ocean beach breeze scent. Add 5 drops of Lime, 5 drops of Ylang Ylang, 3 drops of Bergamot and 2 drops of Citronella to the roller bottle. Once all of your essential oils have been added, top off the roller bottle with your liquid coconut oil. 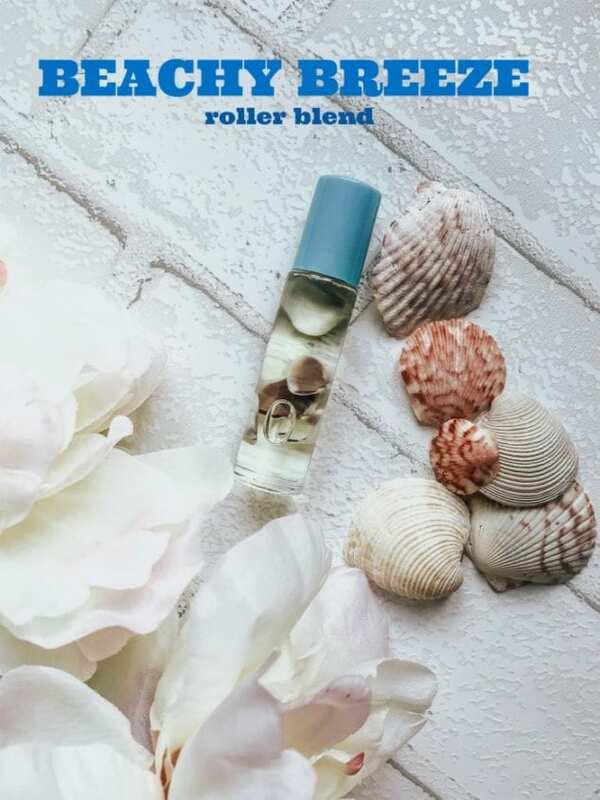 Pop on the roller ball top and your beach breeze perfume is ready to use. Roll on wrists, forearms and even neck for a lovely ocean beach breeze scent! You can find all the supplies you need on Amazon (affiliate link below).